Whether it’s from the bed of a UTV or the seat of an ATV, the elevation gives a rabbit hunter an advantage of a better view down into the mass of a thicket. 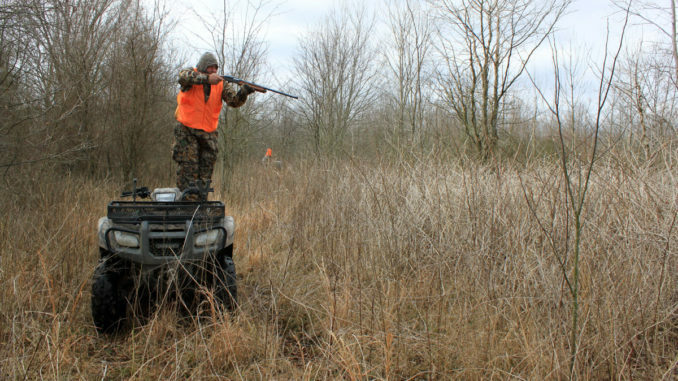 In Mississippi, according to the law, hunting from a motorized vehicle is illegal. However, according to the chief of enforcement for the Mississippi Department of Wildlife, Fisheries and Parks, the intent of the law is to prevent hunters from riding in an automobile or ATV/UTV with a loaded firearm and looking for a deer, or a rabbit for that matter. “That you cannot do, legally,” said Steve Adcock. “But, if you are just using the ATV, or UTV, to stand on, and the motor is off, that is OK. The intent of this law is to prevent people from riding and looking for game, actually using the vehicle to hunt. Adcock said that is illegal to use an ATV or UTV to push the dogs or rabbits, but it would be legal to use the vehicle to stay ahead of the dogs, as long as the firearm is completely unloaded. To use it as a hunting stand, a hunter would have to park, kill the engine and then load his or her firearm. 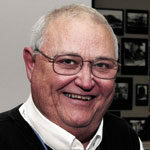 “That is OK, as long as you are on private lands,” Adcock said. Regulations prohibit ATVs/UTVs on most public lands, like the big Wildlife Management Areas and National Wildlife Refuges of the Delta.